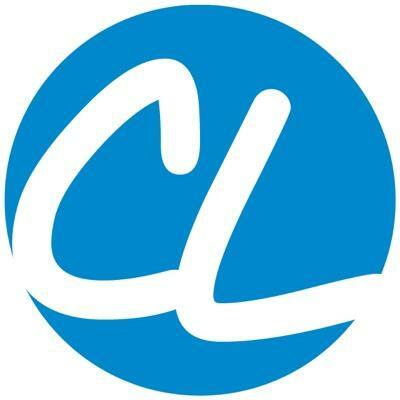 "LatinHeat Cinema Partners with Video Technology Platform dotstudioPRO to Deliver Direct to Consumers"
LOS ANGELES, CA – September 17, 2015 â€“ (HISPANICIZE WRE) – LatinHeat Cinema (LHC) and dotstudioPRO have partnered to launch a streaming service aimed at both the 54-million-strong U.S. Latino market as well as international audiences. With this new streaming service, LatinHeat Cinema gets a leg up on its competitors and jumps into the online streaming market with a scalable, turnkey and end-to-end video streaming platform powered by dotstudioPRO. LatinHeat Cinema streaming service launches at 8PM on Thursday, September 17, 2015, with the indie film Strike One. Fans and movie aficionados of action-family drama genres will have the opportunity to purchase a stream on LatinHeat Cinemaâ€™s website as well as on its Facebook page. In addition, Strike One, will also be launching on dotstudioPROâ€™s new aggregator, mySPOTLIGHT.TV, in late October. The LHC launch also coincides with the filmâ€™s Hollywood premiere at the historic Egyptian Theatre in Hollywood, CA. Strike One, a Boricua Films production, stars Danny Trejo, Johnny Ortiz, Alma Martinez, Maria Isa, Billy Gallo, French Stewart, and Reginald VelJohnson. To Hernandez, the opportunity to deliver films, web series to the millions of Latinos who have access to multiple digital platforms (Laptops, smartTVs, tablets and mobile devices), was an excellent solution. â€œOur service fills a void in Hollywood by providing streaming for Latino content; it widens the platform to allow millions of Latinos access to films they would otherwise never see,â€ Hernandez stated. Filmmakers, whose content will be offered on LatinHeat Cinema, will have the opportunity to profit from a secured streaming platform, powered by dotstudioPRO that provides management, monetization, distribution and tracking tools to content creators. â€œIt is a streaming model built so that filmmakers gain more control over the distribution of their projects, and for once have a real chance to earn back on their investment,â€ added Llauger-Meiselman. â€œdotstudioPRO is made by content creators for content creators. They are in the business of building the online â€˜Digital Networksâ€™ of tomorrow, across multiple platforms and devices, without the need of a development team,â€ said Pascual. LatinHeat Cinema will work from one dashboardâ€”dotstudioPROâ€™s content creators can launch monetizable channels: inside their Facebook fan pages and market channel partner Facebook fan pages; inside their website and partnerâ€™s websites; inside articles being published about them; and inside Roku, mobile and tablets. This allows the content creators to truly carve out a robust, scalable distribution strategy, which is all controlled and tracked from one dashboard. Latinheat Cinema and dotstudioPRO will deliver American stories through a Latino lens to the millions of movie consumers and fans who watch videos on the multiple mobile platforms. And, LHC will be the best site to watch Latino-flavoured content. There is an iPhone and iPad app in the works to be coming soon. Latinheat Cinema is a joint venture created by the American Latino Theatre (ALT) and LatinHeat Media, LLC. ALT is a nonprofit theater company founded by David Llauger-Meiselman and his company Boricua Films, www.boricuafilms.com; and LatinHeat Media, LLC is integrated media and an entertainment company focused on the 1.3 trillion dollar consumer marketâ€”U.S. Latinos. Since 1992, Latin Heat has been cultivating its brand by focusing on the U.S. Latino consumer market and more specifically, the Hollywood image-makers catering to this market with a mission of creating and now distributing content by Latinos, about Latinos for universal audiences. www.latinheat.com. dotstudioPRO is a platform that powers the distribution, sharing and monetization of video with its all-in-one digital ecosystem. Creators and the worldâ€™s leading broadcasters and distributors use dotstudioPROâ€™s technology and premium services to distribute content and engage audiences. Developed by content creators for content creators, dotstudioPRO empowers users from inception to distribution, manages all creative, distribution and monetization channels and marries the world of video ad-serving and VOD in one platform. dotstudioPRO has recently launched a global consumer video destination (available on browsers, Roku, IOS and Android) called mySPOTLIGHT.TV. This new offering was developed through the EvoNexus accelerator as the companyâ€™s MVP. mySPOTLIGHT.TV acts as an aggregator spotlighting all the premium video channels coming from dotstudioPROâ€™s content partners, who are currently marketing and monetizing themselves through their owned-and-operated microsites, which are powered by dotstudioPRO. The value to the end consumer is that they now have access to content that is not available in their global region, due to complex traditional windowed distribution. Also, my.SPOTLIGHT.TV provides consumers with direct access to the creators themselves, which truly helps the content creators build a business out of their TV shows and feature films. Always Evolving PR is a Latina-owned and operated public relations firm that is passionate about everything related to popular culture, entertainment, political and social causes. We specialize in talent, film, TV, music, events, sponsorships & promotions, brand communications & strategy, content creation & distribution, influencer marketing & outreach, digital & social media, corporate & crisis management, and lifestyle. www.alwaysevolvingpr.com.